Paniyaram or savory unniyappam is a popular savory snack in the blogosphere made of made out of left over dosa/idli batter.Blogging introduced me to this wonder guilt free snack and thanx to all my friends who introduced the recipe to me.Now,this has become a regular snack at home and sometimes breakfast too.Everyone loves it at home and is quite healthy too.I hooked this recipe from 'show me the curry.com',this is a real delicious snack if you love savory.The only change I made in this recipe is I added corn kernels to it.Kids really love the crunchy and sweet corn kernels in the balls.These days am going quite busy with a number of activities going around at home,Thanx to all wishes on my hubby's birthday dearies..Conveyed all.Last weekend we had our group Onam celebration,now next week its my younger son's birthday coming up.So,now you can imagine the amount of work extra laid on me and that's the reason of my irregular visits in blogs.Hopefully by next week I'll be free,so enjoy this yummy snack at home !! -Add salt,green chillies,cilantro ,semolina and left over idli batter. -In a pan,heat oil in a pan.Splutter mustard seeds and pop. -Add asafoetida,curry leaves,onion ,corn kernels & ginger. -Saute till onion turns translucent and add to batter.Mix well. -Add water if required to balance the pouring of consistency. 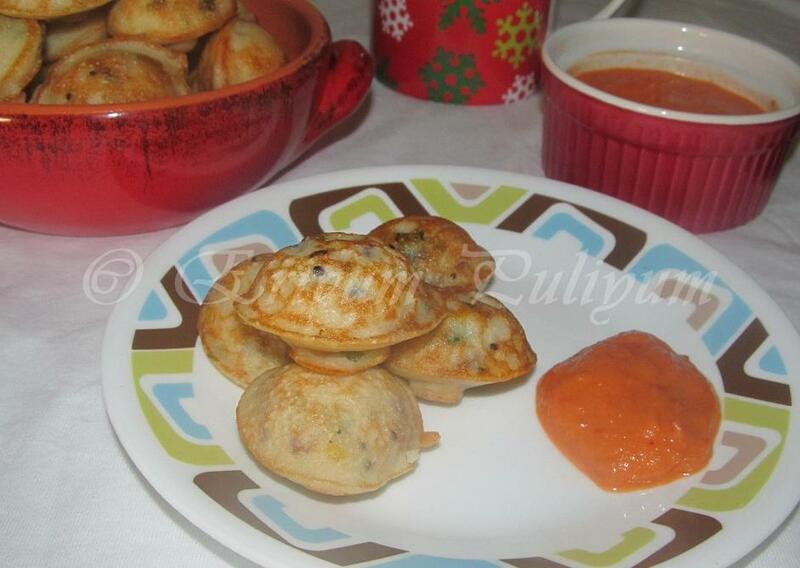 -Heat the paniyaram pan / unniyappachatti and add few drops of oil in it. 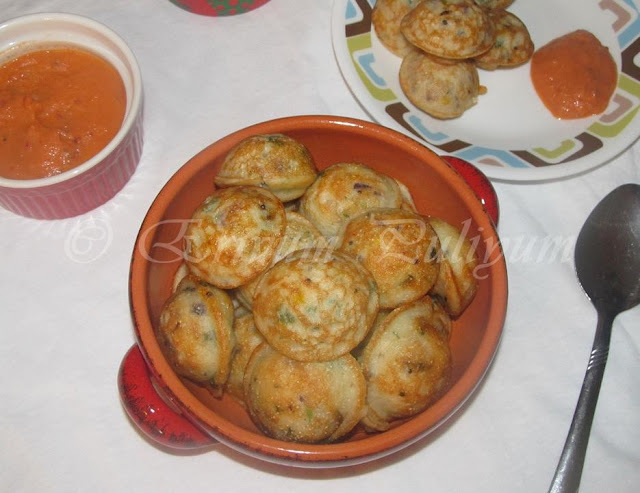 -Spoon in batter in each mold and allow to cook. -Once lightly golden brown,flip othe other side with the help of a skewer or fork. -Remove them on a paper towel. 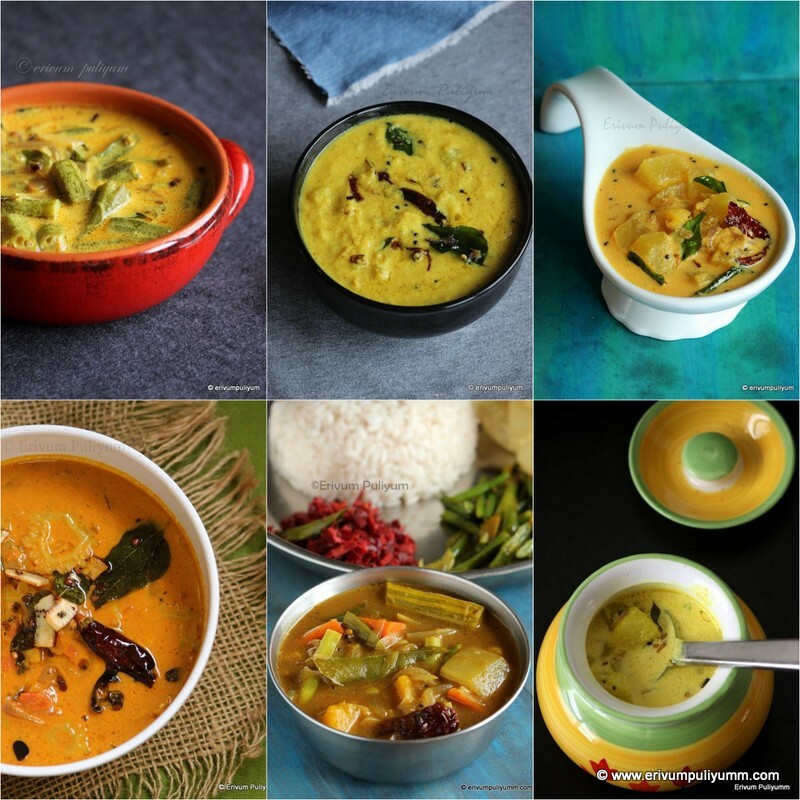 -Serve it with tomato chutney or coconut chutney !! I too do this the same way. Looks yum. looks super julie! thumbs up!can we use mini idlis pan? or is it different from paniyaram pans? 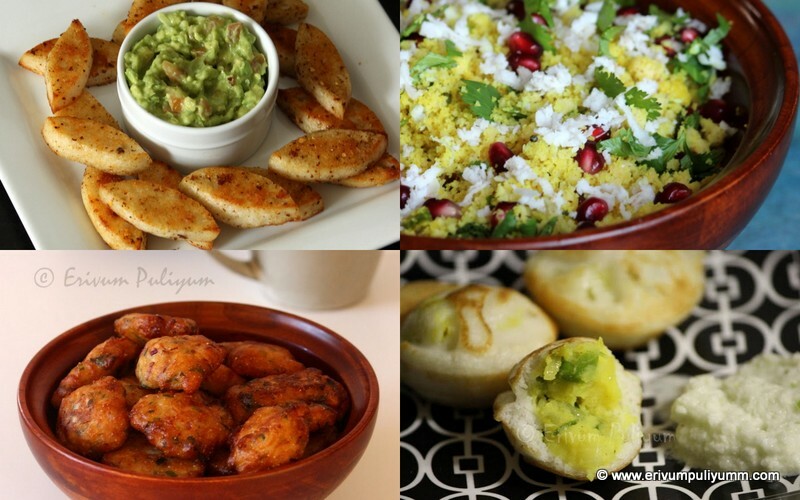 Love savory bites!!! Nice clicks!! I love this healthy snack ...So what's your plan for your younger son's B'day ? lovely one.. nice clicks Julie..
Adipoli, Ente hubbyude ammayi undakkum. Yummy & perfect. Advanced B'day wishes for your son. That is a perfect meal to start your day! Yummy..
Julie, look good for breakfast and teatime during rainy days! Absolutely perfect one. Looks so yummy and delish kuzhi paniyaram. Terrific. I sometimes have a problem when I turn it around. How do I overcome that? Or would that skewer do the trick? It's truly a yummy recipe Julie..My all time fav. julie plz pass me some !!! always love the spicy version than the sweet one..
My favi... perfectly done !! I can munch these beauties without any hesitation anytime. These are lovely appams Julie..are they hollow or solid from the middle? perfectly made paniyarams!what a beautiful presentation!! Very interesting and looks delicious......great way to use leftover! They look very appetizing and you get to use your leftovers! Feel like having some now, especially with that red chutney..
Looks super good Julie. 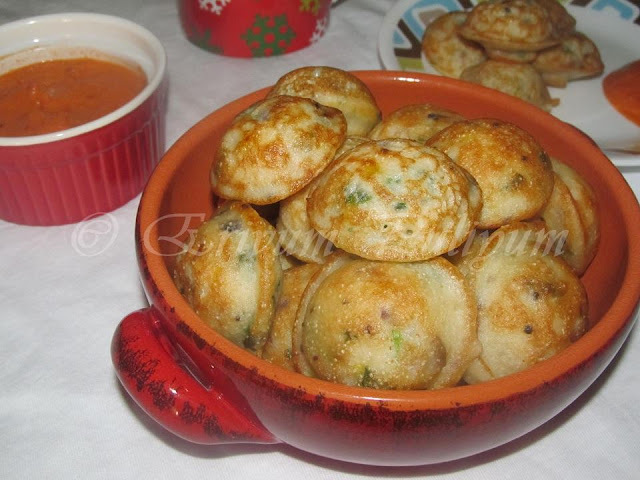 Sometimes, I use dosa batter for making this paniyarams when I bored of dosa. Love to have it with hot red chutney. Totally love it.. I so want to try it but I don't have paniyaram pan. One of these days I will hunt it down and make it for sure!! Always love this, looks well made. 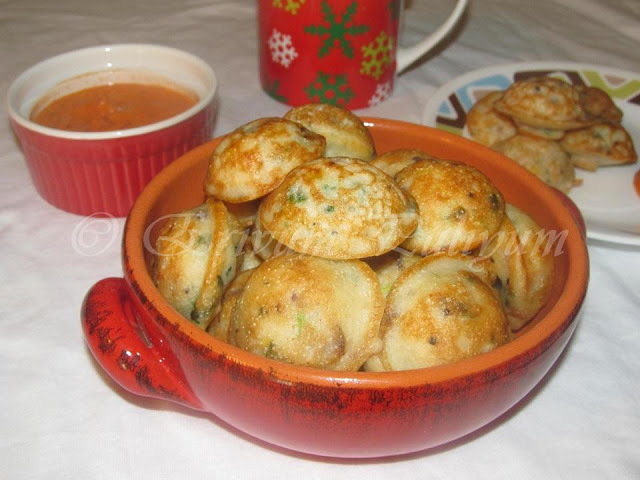 Tempting and perfect kuzhi paniyaram..
gr8 recipe...i have bought a non-stick unniappam pan last time when i went to kerala...gotta try this out! wow.. paniyaram looks soft and delicious... yummy.. 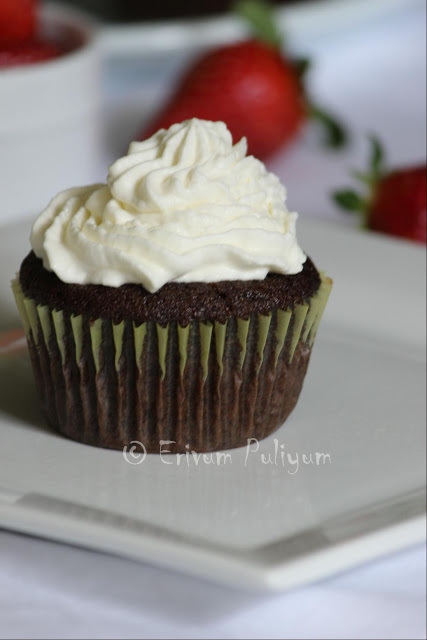 Very tasty recipe & perfectly made!!! Thanks. Will keep that in mind. Looks majestic. Simple recipe & dosa batter is always available, so a staple at home. But I have never added corn as an ingredient, I should try! Also Julie, when you get time can you make "Vatteppam"? Long back one of my college mates brought this to our hostel while coming back from vacation & it was a huge success among us! !